Playing guitar can be very difficult even if you’re getting lessons or if you’re just learning by yourself. The basics of guitar can be simple if you break it down far enough. For example, when playing any type of stringed instrument, you’re index finger is referred to as the first finger and so on until your pinky working their way up the numbers. A lot of guitar is based on your fingers and which fret you place them on. A place that can get confusing is when you’re looking at the strings; some people call them by the note it plays when open or by first, second, third and so on and so forth. A good place to start when it comes to playing guitar is research. Knowing what you’re guitars strengths in music are and the weaknesses is very important when playing any instrument. A very informative youtube channel to go to is “5 Minute Guitar Lessons.” This site has a playlist called “New To Guitar? Start Here,” that covers the basics when it comes to playing songs. On 5 Minute Guitar Lessons, users will find different videos for any type of player, “tips and techniques” being a great one to use when getting started. Playing guitar can be very easy once you know the basics, but after you know the notes and basic riffs (small accumulations of notes that can range within 4 to 10 notes), next comes chords and strumming patterns, which can prove to be a little more advanced. 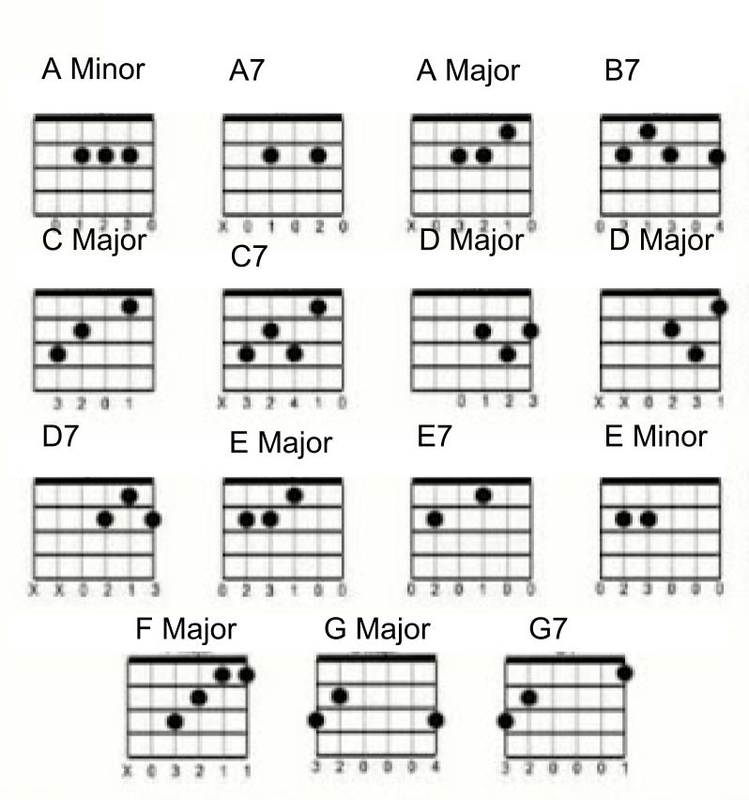 Chords and strumming patterns have many different levels on how you play them. A chord is where you can press down many of your fingers in a pattern over the frets to make an accumulation of sound. Strumming patterns are practically what they sound like: they are the pattern you strum the chord you just made. On a chord chart at top, you can see at the bottom of the chords that there are numbers and x’s. 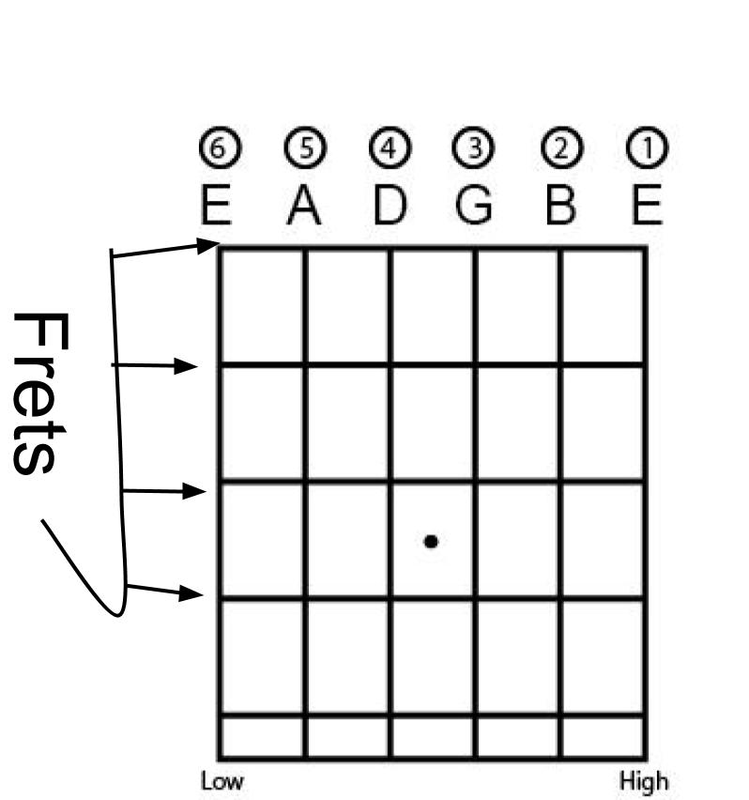 The numbers 1-3 on the chart tell you what fret your fingers will be on, while the 0 tells you that you don’t have a finger down at all, and you play that string open. Lastly, the X is something different, it shows that you don’t play that string at all when you are strumming. There are many more parts to a guitar, more things to learn and more things to try with this instrument, but that is the basics for playing guitar.